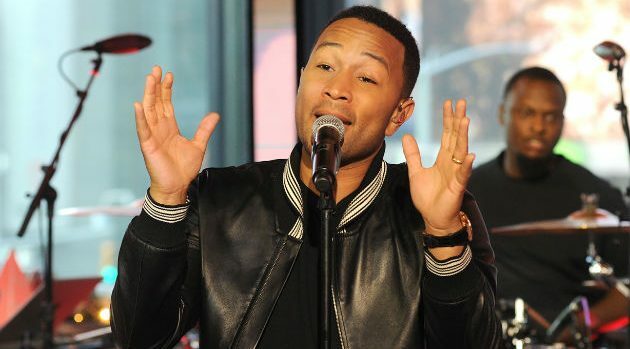 In a recent interview with The New York Times, the “All of Me” singer spoke at great length about his social activism, and opting out of working with R. Kelly. For his latest effort, “Preach,” Legend revisits this same sentiment by addressing the political inaction following mass shootings. For the equally stirring music video, Legend appears as a pastor at a protest rally. Amid the tear gas and riot gear, he stands his ground much in the same way he has in the face of his detractors and, more recently, his denouncing of R. Kelly. Legend says the latter was an “easy decision,” and even claims to have turned down a collaboration with the 12 Play crooner this past year. Legend has been one of the most prominent voices to speak out against Kelly, who was arrested over the weekend in Chicago and charged with 10 counts of felony criminal sexual abuse. Legend makes his debut tonight at 8:00 ET/7:00 CT as the newest coach on NBC’s The Voice.